Foreplay is an essential part of cherishment. The really good news is that Cat Cherishment Foreplay is quick and easy and requires no intelligence, sensitivity or finesse. Most men should excel at it. 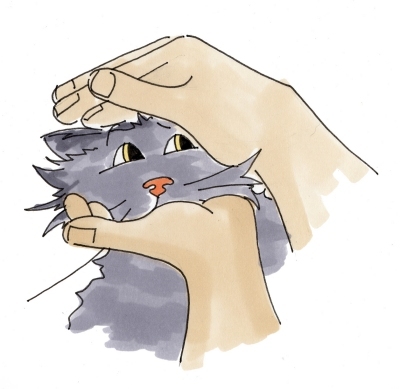 Study the foreplay moves on this page and practice them a few times on your cat. It’s usually a piece ‘o cake, but if your cat has a poor Customer Service Rating, you’d be advised to use the foreplay move Subdoo. While many cats enjoy cherishment, not all cats do. If your cat is one of those who doesn’t like cherishment, you may even be ripped to shreds. Use your common sense like the Cato9Tales resident Health and Safety Officer, Phillipe, pictured here strolling leisurely in a field. You have been warned, so if bad things happen to you, it’s your problem. The appropriate foreplay moves for Top of Head are SUMMONZ or SUBDOO. 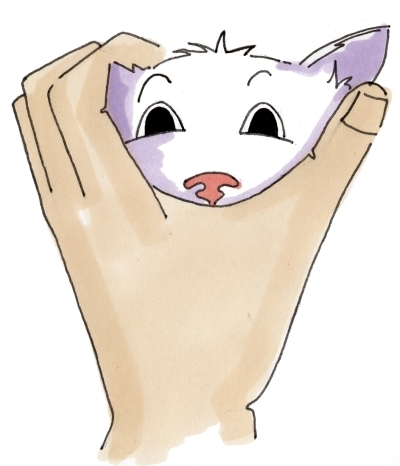 Probability of your hand being chewed up is 0.1. “Two paws and a tail make a paddle.” As with much else in Khat Lore, the meaning of this profundity is not immediately clear to humans, although all cats profess to understand it. The appropriate foreplay move for Paddle is PUSHOVER. Probability of having your hand ripped open is 0.6. 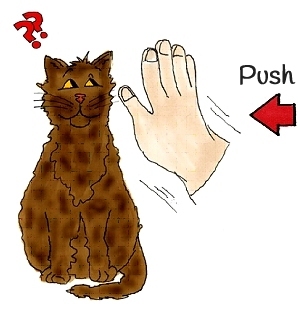 Some cats may find this uncomfortable, raising this probability significantly, so keep your cat slightly on their side rather than on their back, and use a gentle dragging motion rather than a twisting motion. There are three different encapsulations and they are all great fun. Encapsulations should be held for 2 seconds. 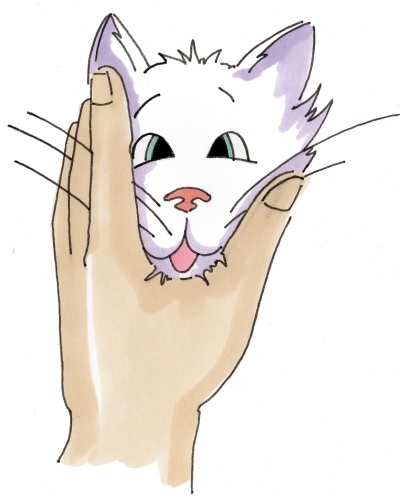 Some cats have large heads and it may only be possible to do Full Encapsulation of Head using both hands. 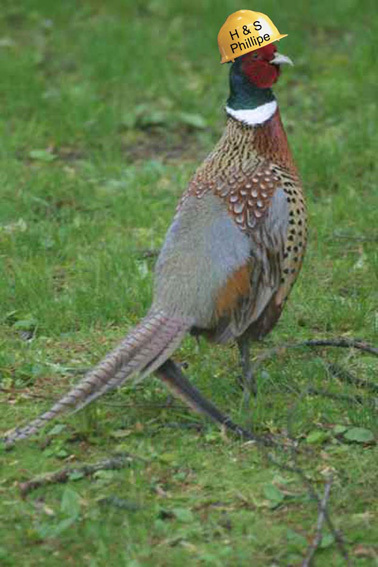 Partial Encapsulation of Head is also known as Phayce. The appropriate foreplay move for Encapsulations is SUMMONZ. 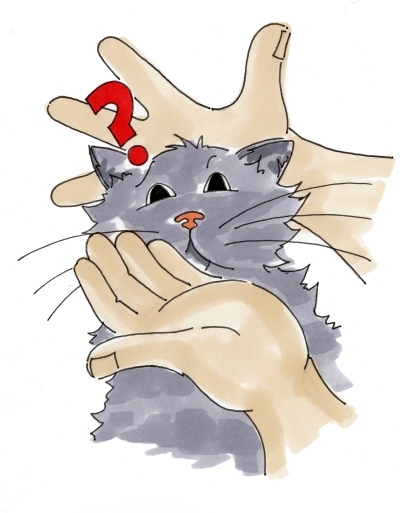 Not all cats are compatible with Broken Down, which requires a good Ear Springiness Factor to ensure that the ears spring back up again when the hand is removed. With cats that don’t have a high Ear Springiness Factor the ears will stay depressed and Broken Down will fail. The appropriate foreplay move for Broken Down is SUMMONZ. 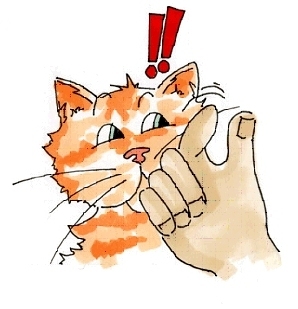 Most cats will try to smack you or bite you during TickleTum, so you should wear a protective glove. 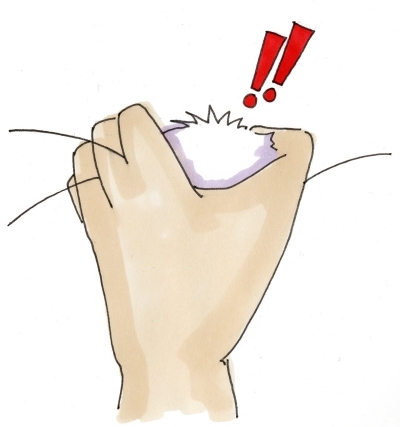 This is not to say that cats don’t like TickleTum; they just like biting and scratching more. Highly regarded. It is a one-off non-repetitive action. To do repeated Cup and Saucer is considered disrespectful. The appropriate foreplay move for Cup and Saucer is SUMMONZ. This is the most sought-after cherishment. Nearly all cats will go totally doolally for Chukkachin. Only ChickleEar can compete on the HappiRumble scale and ChickleEar is still in evaluation by the Cherishment Quango and so not yet released for human use. The appropriate foreplay move for Chukkachin is SUMMONZ. You should hug your cat close against your chest and jounce up and down using your knees. 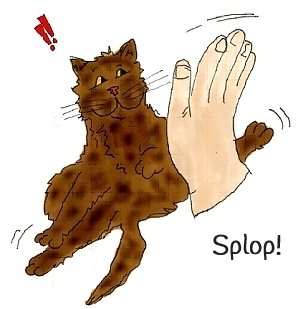 Be careful not to drop your cat, or you will immediately forfeit the right to any further cherishment. Ever. For good effect Huggitty Bumpity may be accompanied by simultaneous Partial Encapsulation of Head. The appropriate foreplay move for Huggity-Bumpity is SEIZE. Swings should be performed to music, which you must sing yourself. The theme from The Archers is best. 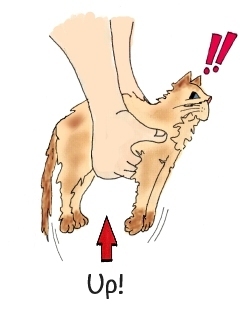 Swings should not be done faster than a real swing, and you must be careful not to drop your cat. The appropriate foreplay move for Swings is SEIZE.